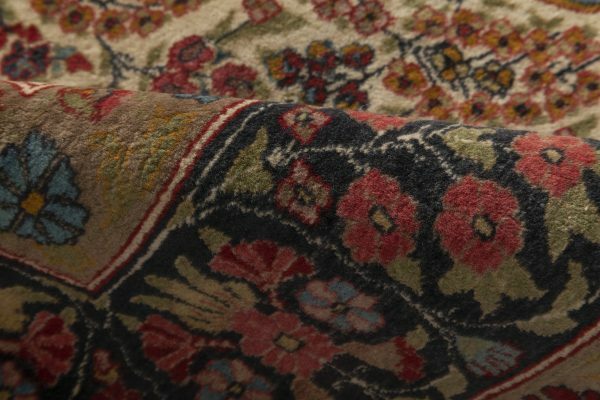 Persian rugs are famous not only because of their elegant designs, but also the astonishing quality of the weave. 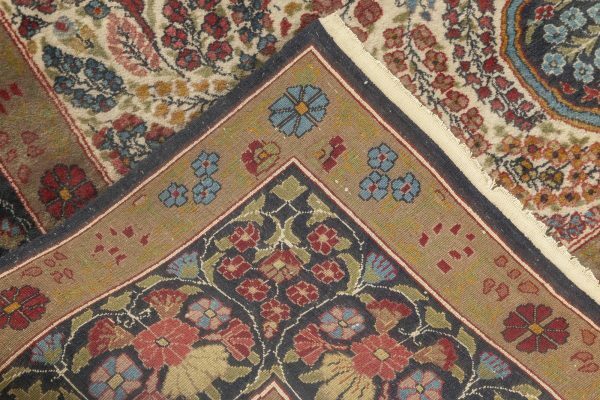 Many carpet-weaving villages in Iran have their own original patterns and weaving techniques, developed through centuries of hard work and dedication. Kirman rugs are especially sought after, due to their astonishing quality and original designs. 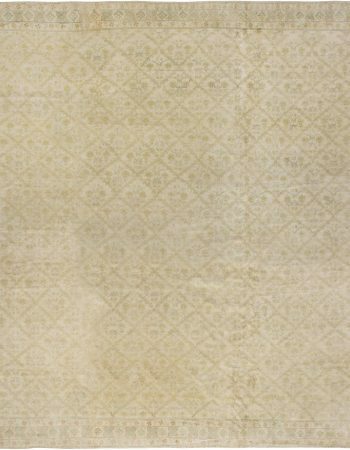 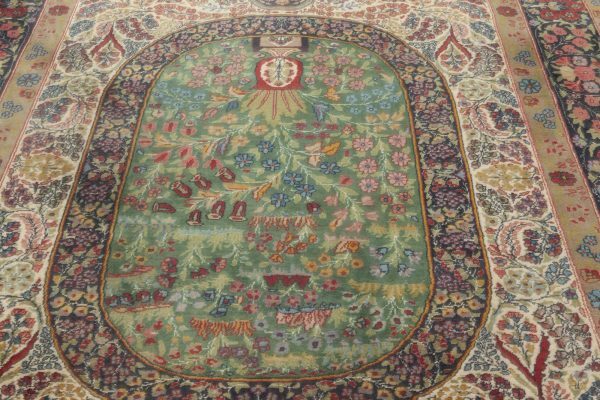 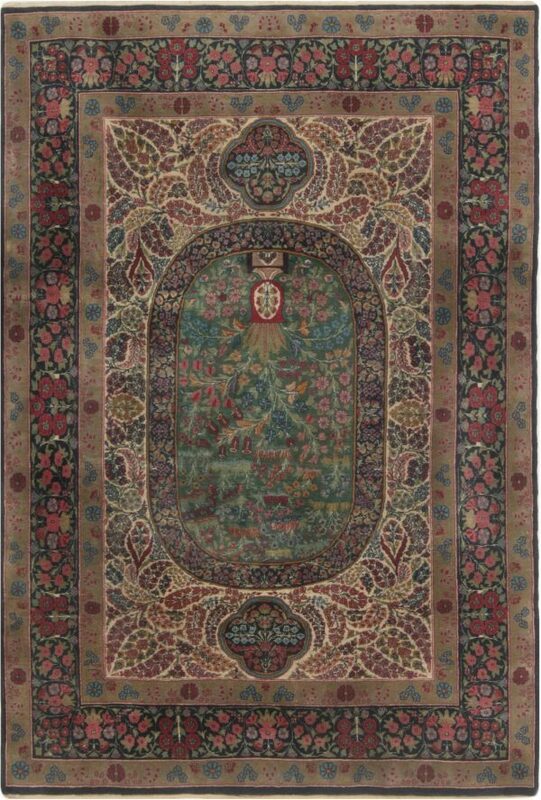 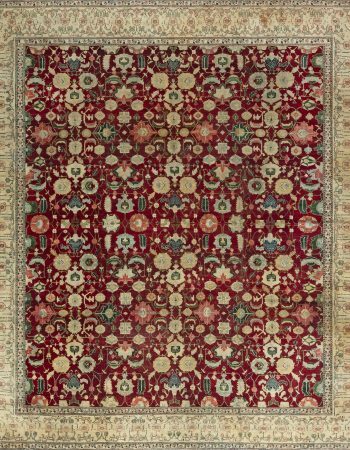 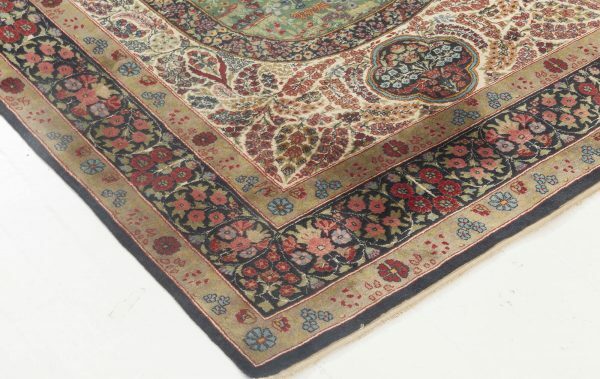 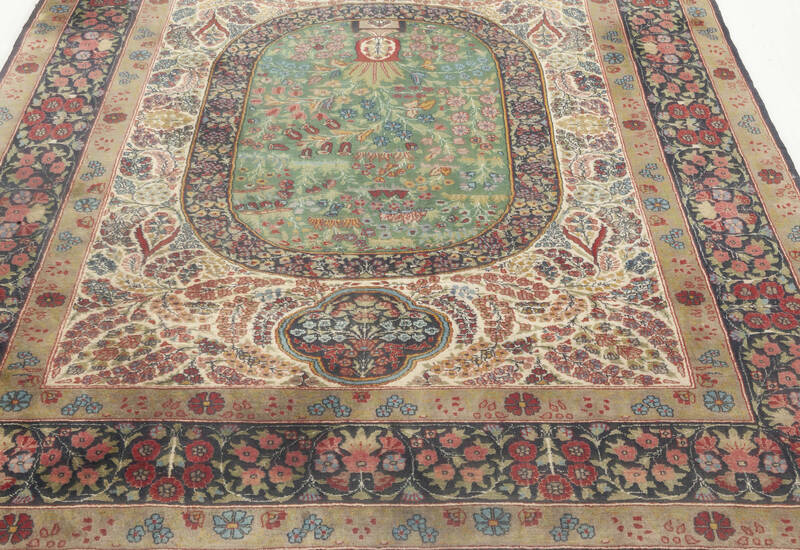 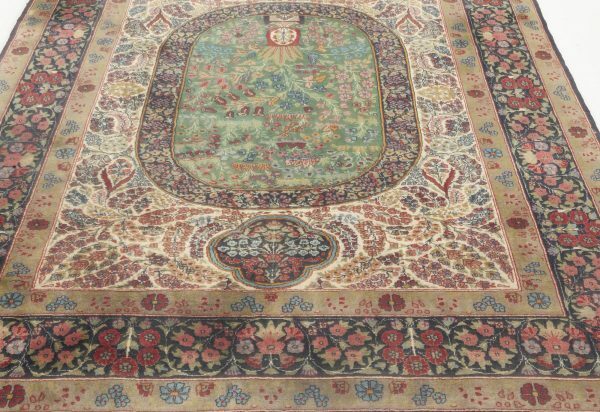 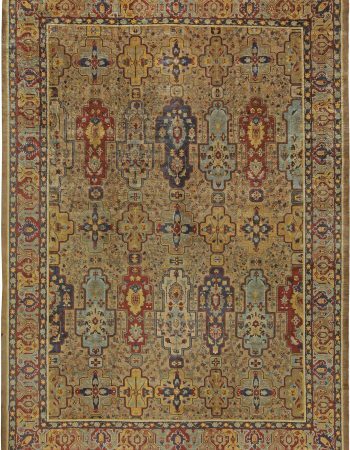 This stunning antique rug is a dream come true of any rug aficionado. 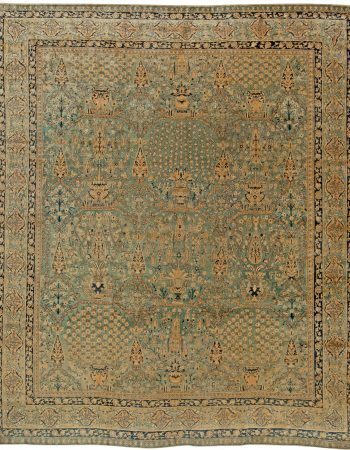 Hand woven with great care in the early 20th century, circa 1920, it features a stunning design, inspired by traditional Iranian craft. 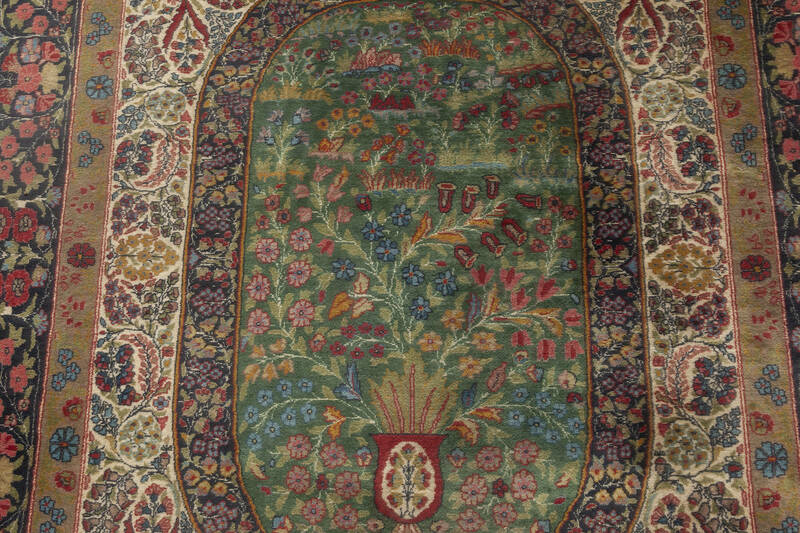 The pattern depicts a stunning floral composition in the center, which looks almost like a window to a beautiful meadow. 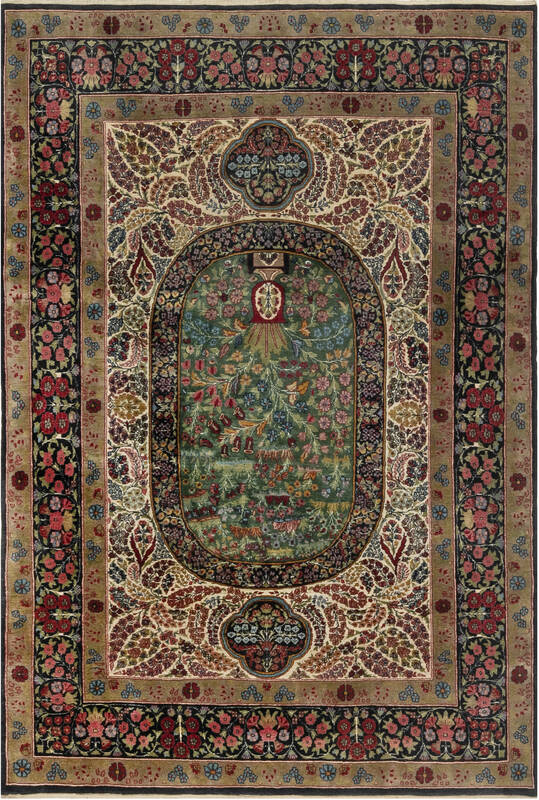 The whole is bordered by an elegant frame, which manages to further enhance the central field, without overbearing it. 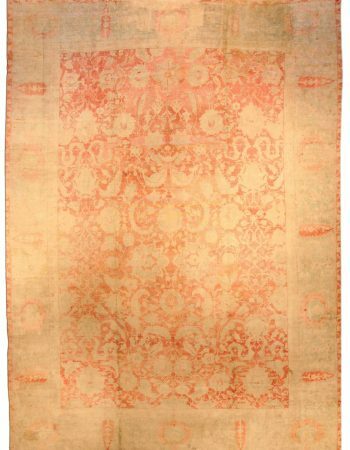 The color palette of this piece includes tasteful shades of dark red, blue, beige and bits of violet and pink.